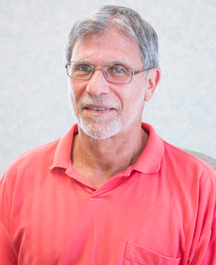 Nicholas Federici, PT is a graduate of New York University with a degree in Physical Therapy. He began his career treating patients in nursing homes, as well as in-home healthcare. As a staff therapist at St. Clares Hospital in Denville, NJ, he gained hard-won insights and experience and developed the ability to exceed patient expectations. He later brought these attributes and a commitment to compassionate care to his role of Chief Physical Therapist at Riverside Hospital in Boonton, NJ, before starting his practice. Nick believes in a one-on-one approach to physical therapy, in which the patient’s treatments are evidenced-based and they are educated in how they play an important role in their recovery and maintenance of the results gained through treatment. Nick is also an avid physical fitness proponent, and has recently been certified as a personal trainer. Nick, when not serving the community of Parsippany in his clinic, loves to be with his wife Denise and their two children, Matthew and Christine, who also reside in Parsippany. They all recently celebrated a new addition to the family…granddaughter, Giuliana, born to Matthew and his wife, Jessica. Jessica has been involved in the fitness community for 15 years. She began her career as a personal trainer upon completion of the Personal Training Program at the County College of Morris in Randolph, NJ. Jessica soon entered the healthcare field, working as an Exercise Specialist for Healthsouth Physical Therapy, in Chatham and Livingston, NJ. She received her Bachelors Degree in Healthcare Management from South University in Savannah, GA and also holds a Masters of Science in Leadership. In addition to her education, Jessica holds several personal fitness certifications, including NESTA Personal Fitness Trainer, Certified Adventure Fitness Coach, and Mad Dog Athletics Spinning Instructor. She is also published wellness writer on Livestrong.com, and is the co-creator of Little Black Dress Fitness and Corporate Wellness Solutions. Jessica has successfully competed in several triathlons, half marathons, and one full marathon. Jessica believes that most illnesses can be prevented or improved through proper nutrition based on a whole foods approach along with exercise; and that life in general, is lived better when you are fit. 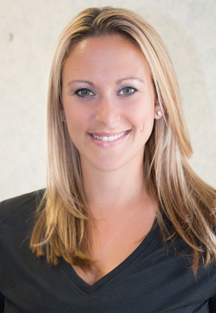 Jessica continues to help clients by sharing her passion for fitness, nutrition and health. She hopes to inspire others to be the best parent, friend, sibling, or spouse that they can be, by improving their health and adding happiness to their lives. Jessica currently resides in Parsippany with her husband Matthew, daughter Giuliana, and her two rescue dogs, Rocha and Cassie. 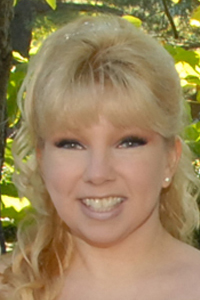 Michele Dolan is a New Jersey State Licensed Massage Therapist and Physical Therapist Assistant. She received a Bachelors degree in Psychology from Rutgers University and an Associate’s degree in Physical Therapy from Union County College. Michele trained in Massage therapy at the Institute for Therapeutic Massage. She specializes in Swedish, deep tissue, prenatal, reflexology, Thai, and reiki massage. 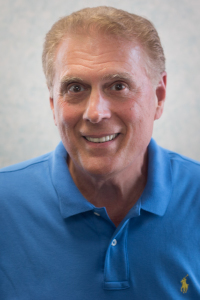 Rich is an Aerobics and Fitness Association of America (AFAA) certified personal trainer, as well as an employee at the Lakeland Hills Family YMCA fitness center for the past 12 years. He has completed courses and certifications in weight training, senior fitness, mat science, nutrition, and personal wellness. His continuing education credits include women’s weight issues, ball and band exercise, abs and glutes, and addressing shoulder, knee, and back problems. 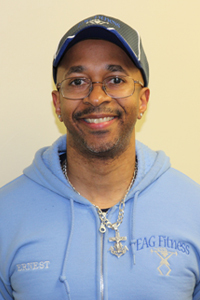 He is a lifelong fitness advocate and hopes to bring a positive and consistent fitness message to his clients. He believes that over 25 years in retail business have enabled him to recognize and address the concerns of clients. He is a graduate of Upsala College with Master-level credits in education from Fairleigh Dickenson and Kean College. He hopes to bring another dimension to Parsippany Physical Therapy. Kathy graduated from Seton Hall University with a Bachelors of Science. She has worked in the banking and nonprofit sector and has been working in medical offices for more than 6 years. She and her husband are the parents of two adult daughters. 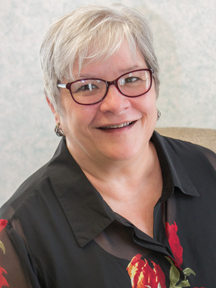 Lisa A. Benus is a certified wellness counselor and physical medicine technician. She is certified in both massage cupping bodywork and medicupping therapies. She works with several wellness centers and has successfully treated hundreds of chiropractic and physical therapy patients. 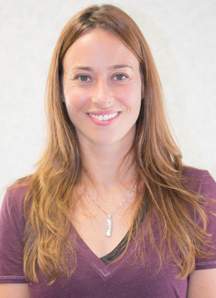 She studies advanced medical massage at the NJM Training Center in the Parsippany Medical Complex and is currently pursuing an advanced diploma in natural health studies with a concentration in integrative and functional medicine. Ernest Anthony Goss: CCM, ACE & NESTA certified personal trainer. NESTA Core Conditioning Specialist, NESTA Lifestyle & Weight Management Specialist, NESTA Sports Injury Specialist, with specialties in Dumbbell Training, Functional Training, Flexibility for Performance, Exercise & Arthritis, Vegetarian Sports Nutrition, Effective Strength Training, Prenatal & Postpartum Exercise Design, Functional Movement and Sports Conditioning. I came full circle when becoming a personal trainer at the Morris Center YMCA. I discovered my passion for fitness when I started strength training there over a decade ago. I went on to become a Training Assistant Manager & eventually Weekend Training Manager with LA Fitness. I joined Affinity Fitness in October of 2009. I quickly established a reputation for connecting with the members and always making the time offer a spot, advice on nutrition or a warm hello. I now train at Florham Park Fitness where I have been establishing my own brand, EAG Health & Fitness LLC, since April of 2016. I am a people person and enjoy helping clients & members attain their fitness goals. The key to success in fitness is balance: resistance, flexibility & cardiovascular training combined with sound nutrition are the ingredients need for good health. Be fit in mind, body & soul.